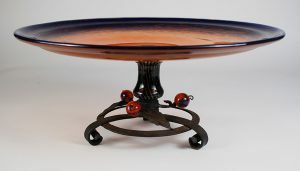 Large French art glass compote by Charles Schneider. 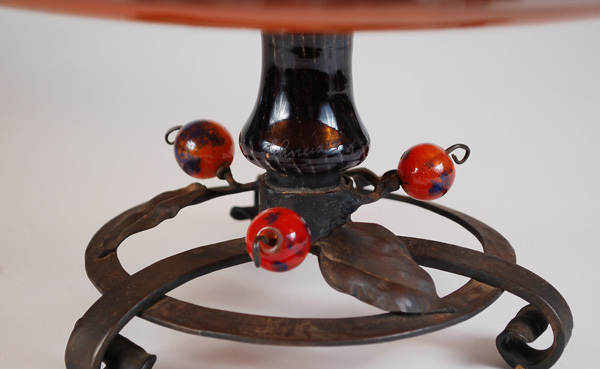 This compote has a wrought iron base with three glass berries attached. 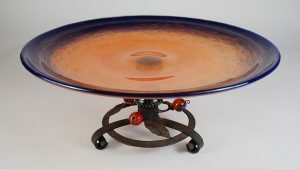 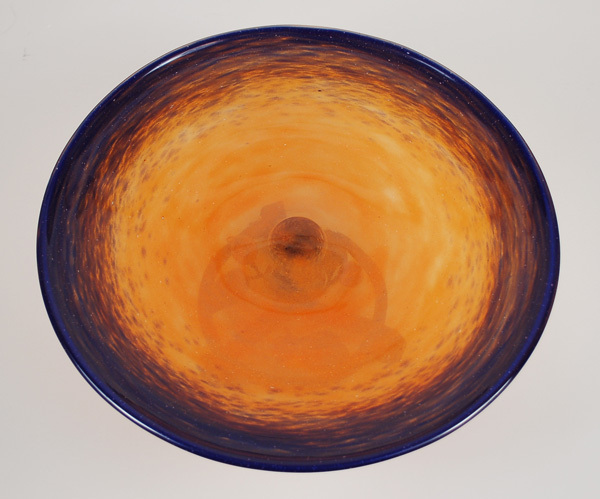 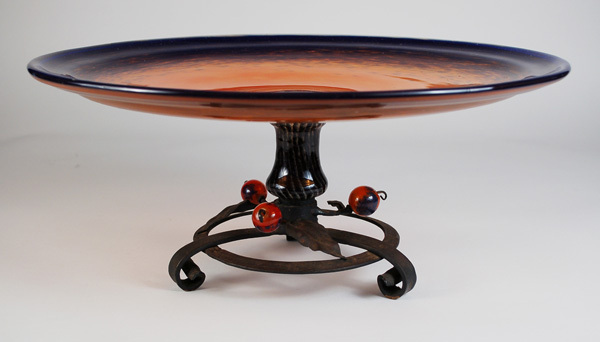 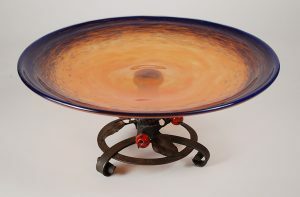 The glass bowl is orange with a blue rim.